The nature of your visit will determine the therapist’s approach. Your first appointment will consist of a consultation and assessment together with your treatment. During the consultation we will document your previous and current relevant medical history and treatment. Documentation will include identification of contra-indications that red flag any need for potential referral to other disciplines, as well as disclaimers. An assessment may include observations, palpations, active and passive ranges of motion, resisted movement and special tests related to joint and muscle function. A posture analysis may be included as necessary. A digital posture analysis using PostureScreenMobile software can be requested (see price variation). After your first treatment a Treatment Plan will be agreed upon. Usually a 45/60m min appointment. A brief discussion of the outcomes of the previous visit and any new information arising from your previous visit that will affect a review of the treatment plan. An exercise prescription as required to ensure that you have greater participation, and therefore control, over the outcomes. This can be done as a separate appointment prior to your second session, or an additional half hour can be added to your treatment time. This program can be progressed as necessary during subsequent appointments. After the consultation and assessment, the therapist will explain the general work they will be doing and explain what clothing requirements are necessary. You will be handed a sheet and the therapist will exit the room giving you opportunity to prepare for your massage. Once you indicate your readiness the therapist will re-enter the room. You will be assisted onto the massage table and your proper positioning will be checked for your comfort. A light oil or lotion will be applied to your skin as the therapist commences the massage. You are under sheet at all times and the only exposed portion of your body is that area upon which the therapist is working. On completion of the massage the therapist will leave the room giving you the opportunity to dress. Take your time getting up. If you sit or stand too quickly, you may feel light headed or dizzy. You are welcome to take time to appreciate the feeling of relaxation you are experiencing, as we try and schedule sufficient time between clients in order that you do not feel rushed. All clients are covered at all times by cloths provided by the therapist. Please note, no therapist will unnecessarily require a client to disrobe or take of any unnecessary clothing. To help your therapist access all the muscles on your body, it is helpful that they have as much necessary unrestricted access to these muscles. Wear sports shorts (not tight fitting lycra) and a bra that allows for your comfort. Please do not wear tights or track suit pants as this makes the therapists work more difficult, especially when finer precision work is required into specific muscles that would be covered up by this clothing. Boxer shorts or sports shorts are fine. The appropriate clothing for the Initial Exercise Assessment needs to not be loose fitting, as this will allow for a more accurate assessment. You are more than welcome to cancel. Can I choose my Therapist? 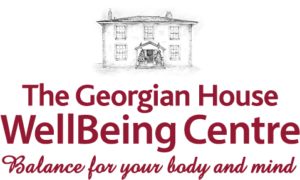 We employ both male and female therapists and you are more that welcome to choose which therapist you would like to treat you. However depending on the nature of the massage you are seeking you may be limited to a specific therapist. Also note that the different categories of therapist will incur different costs. Please see our pricing page for the specifics. Who can get a massage? Our treatments are suitable for anyone, from your average Joe experiencing muscular problems as a consequence of day to day living (e.g. repetitive action, accidents, operations, stress) to an elite sports person who has picked up an injury from their sport. How does a massage differ from physiotherapy? Both Massage Therapy and Physiotherapy focus upon the muscles, tendons and ligaments of the human body. Both therapies can lead to a realigning of your skeletal system and have a positive impact upon your central and peripheral nervous system. However, in addition to the abovementioned Soft Tissue Therapy, a physiotherapist will also focus upon the neuromuscular, cardiovascular and respiratory systems. As common practice, a massage can last for as long as necessary. Posture is the position of the body or its parts, and posture analysis is the process of assessing structural imbalances in the body. It assists us in creating a massage programme specific to you. The muscles define body structure by determining where the bones are moved or held in space. By examining your posture we find which areas of your body are under strain and which muscle groups are causing the strain. What does all this massage language mean? Postural analysis can provide you with a variety of benefits. Advantages include educating about postural distortions, showing which muscles are stressed and over-lengthened, and explaining visually and logically the causes of muscle pain. Postural analysis can present you with customized treatment plans that include both massage and individual exercise prescription. Diseases preventing our normal movement apparatus: Arthritis, Arthrosis, Osteoporosis, Slipped Discs, Rheumatism, Spinal Cord Problems, Fractures, Shoulder, Arm or Joint Problems and Back Pains. Is it normal to have pain after a massage? What did the massage therapist do to me? Feeling sore or in pain after your massage? Soreness can be experienced after receiving a massage, feeling tender to the touch, swollen, or sometimes even bruised. This experience can be totally normal after receiving a massage. It is even more common than you think. Some pain and discomfort after a massage is normal. This reaction by your body to the massage is sometimes called therapeutic inflammation. Therapeutic inflammation occurs when new white blood cells move toward the massaged area to clean out waste products that have developed over time from injury, stiffness, and more. This can sometimes cause discomfort in the area which at many times may make you feel like the massage therapist did something wrong. Not to worry though. This is just a natural reaction by your body’s innate healing process. Have you ever had an injury in an area and after a few days the pain went away but it still just didn’t feel right. It doesn’t necessarily mean that the body healed itself. It just means that your brain has shut down the pain pathways so you don’t feel the pain. Massage therapy can encourage the healing process which allows you to experience the pain again for a temporary time. Is that bad? Of course it isn’t. Your body is healing. The massage increase blood flow to the affected area and cleans everything out that has built up over time. This is especially common when receiving a deep tissue massage.